This is an interesting piece of work that was able to get some internet mileage: a pair of glasses that increases your peripheral vision by 25% on either side. 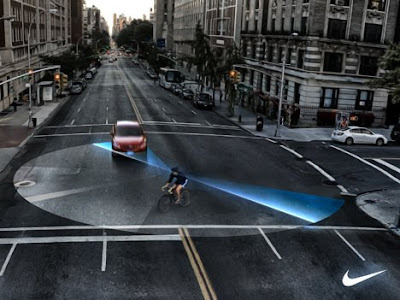 Meant for cycling enthusiasts, the rider will be able to see beyond the normal field of vision (the extreme left and right), which can potentially be a lifesaver especially on busy streets. It uses Fresnel lenses normally used in lighthouses to afford the wearer that extra range of vision using refraction. The glasses were designed by Billy May. 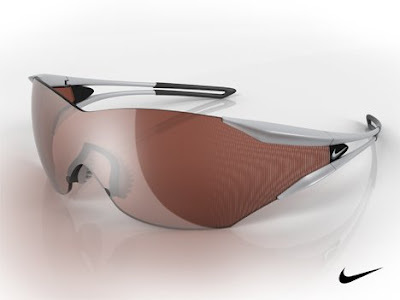 I tried searching for this product in the Nike site, and when I didn't find it referenced there, I soon learned that this is a concept, and the "Nike" part is a "wishful thinking" sort of product placement. Still a cool idea though. This concept has potential.